Open archive PST files using Free OST PST Viewer software. Open archive PST file without Microsoft Outlook. Open and view content of large archive Outlook PST files just in a few clicks without Microsoft Outlook. Open and search through your archive Outlook PST file to find messages, contacts, calendar events, important email attachments. Use Pro version with advanced search, and filter the items by date, field or folder. 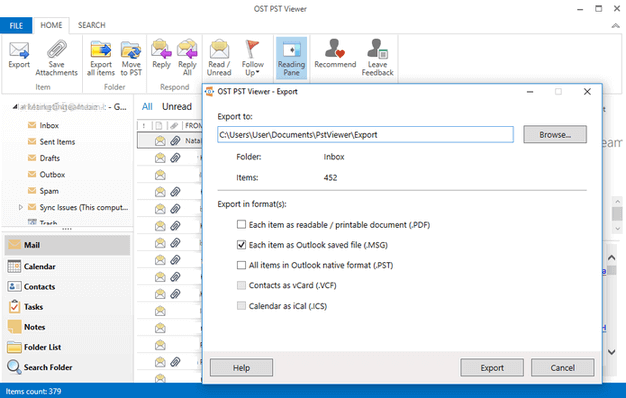 Open old PST file, search and save file attachments from contacts, calendar events, email messages. Choose a PST file you would like to open. 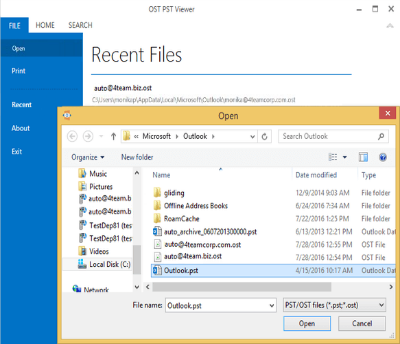 You can now easily view and search in your Outlook PST file.